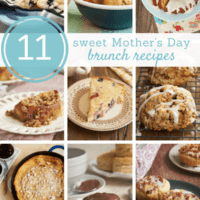 These Easter dessert recipes are sure to please! 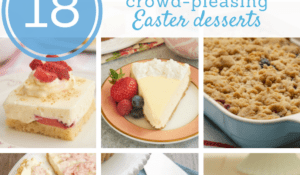 Find just the right Easter dessert idea for your holiday meal. 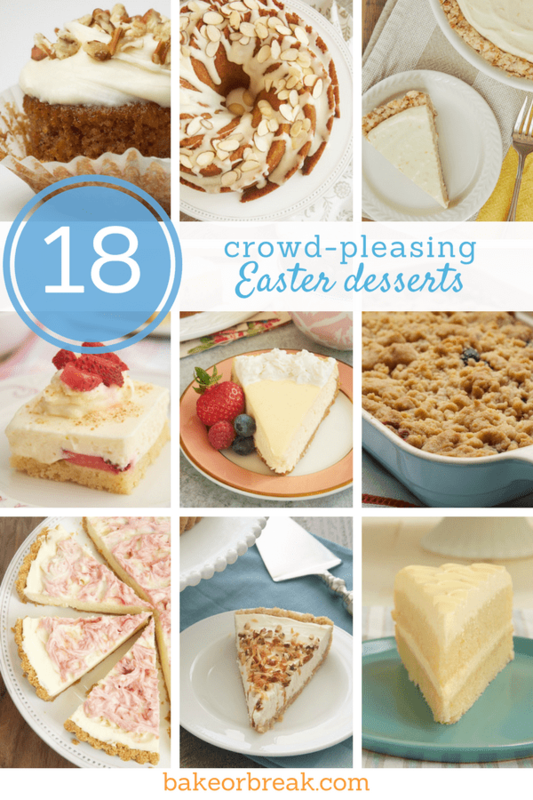 Easter will be here soon, and I’m here to help with 18 of my best Easter dessert ideas! My preferences for Easter desserts tend toward flavors like berries and coconut and citrus. Of course, I’ve sprinkled in a couple of chocolate options, too, for those of us who just can’t resist it. Whether you’re hosting a big Easter gathering or a more intimate affair, these Easter desserts are perfect additions to your dessert table. 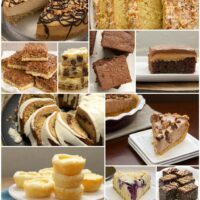 With cakes, pies, cheesecakes, and more, there’s sure to be something here for everyone. Happy baking! And happy Easter! 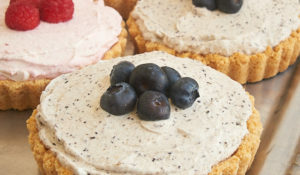 Macaroon Tart is a bit like a coconut version of Chess Pie and a long-time favorite of mine, dating back to my childhood. My mother made this pie frequently, and it’s still every bit as good as I remember! 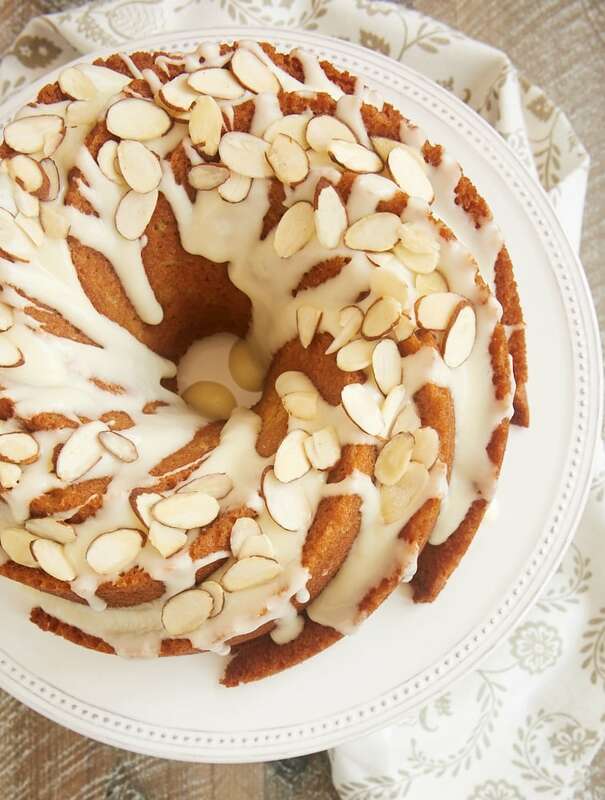 This gorgeous Amaretto Almond Bundt Cake has such amazing almond flavor. Plus, it’s simple to make, yet such a beautiful, delicious dessert. 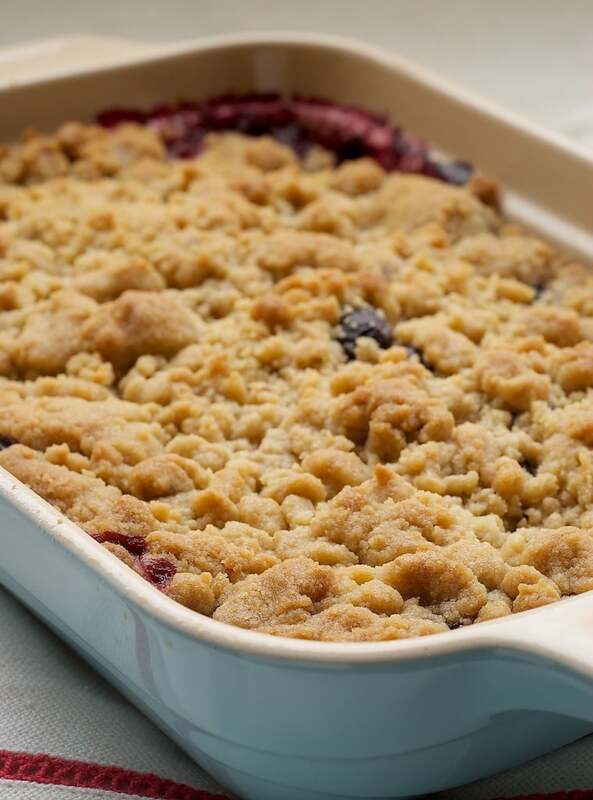 Mixed Berry Cobbler has long been one of the most popular recipes I’ve ever shared with you. I can definitely see why! It has such a wonderful flavor and mixes up quickly. 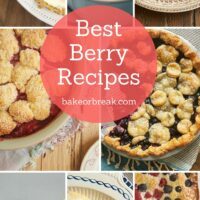 A favorite all through berry season! 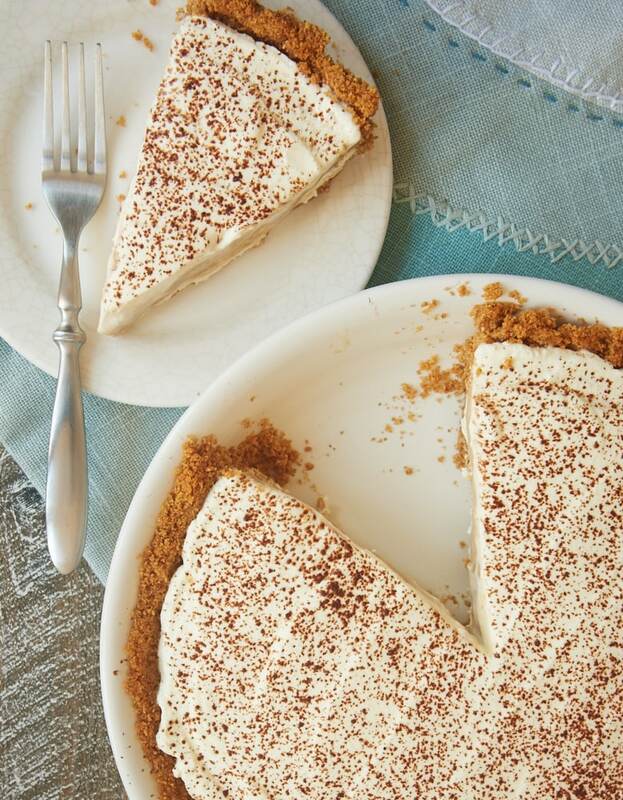 If you’re a fan of its cake counterpart, then you’re going to adore this Italian Cream Tart. It combines all the flavors you love about the classic cake in a simple pie. I may actually like it better than the cake, and that’s saying a lot! 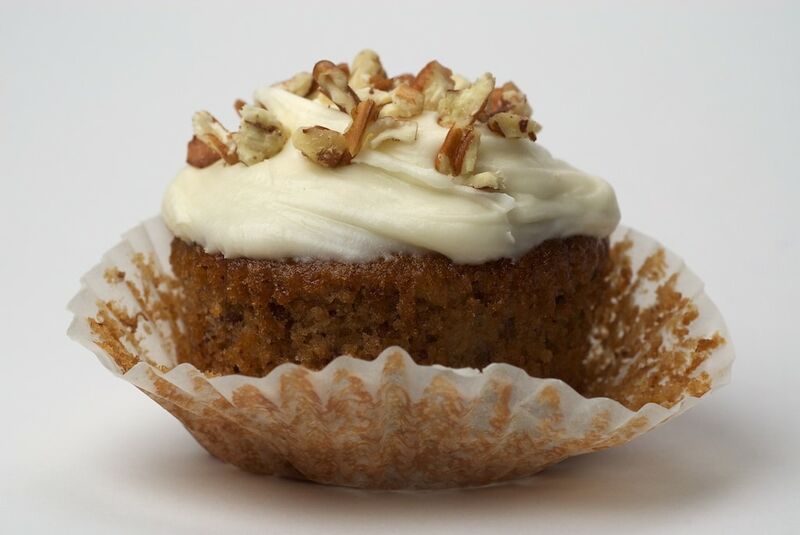 Hummingbird Cupcakes are the mini version of one of my top 5 cakes. Bananas, pineapple, and nuts all meld together perfectly to make an utterly irresistible cake. And that cream cheese frosting doesn’t hurt, either. 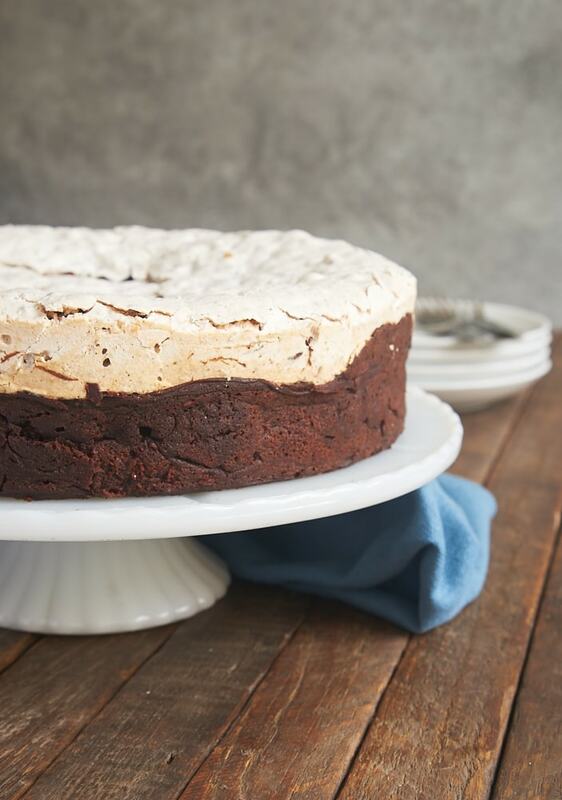 I don’t often make chocolate desserts for Easter in favor of berries and coconut and such, but this Chocolate Meringue Cake is an exception. It starts with a flourless chocolate cake that’s dense and so very chocolatey. That’s topped with a meringue filled with chocolate and hazelnuts. The whole package is just fantastic! 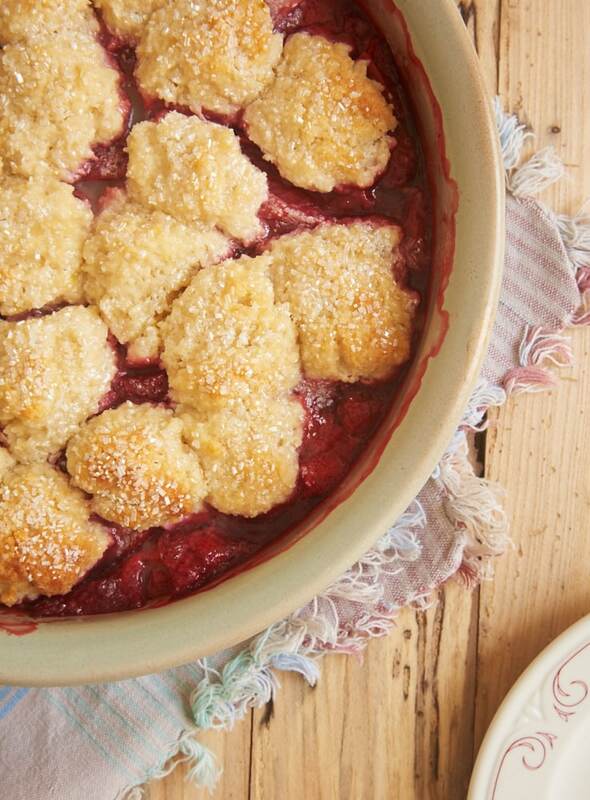 When berry season hits, I love making simple cobblers like this Strawberry Cobbler. 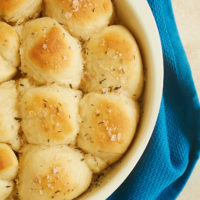 My favorite part about this cobbler is that it’s topped with lemony cream cheese biscuits! Vanilla Bean Cheesecake is a wonderfully versatile dessert that could make my list for most any occasion. Serve it just as it is, or use that delicious vanilla flavor as a pairing for other great flavors. Try adding some fresh berries or a caramel sauce for some simple toppings. 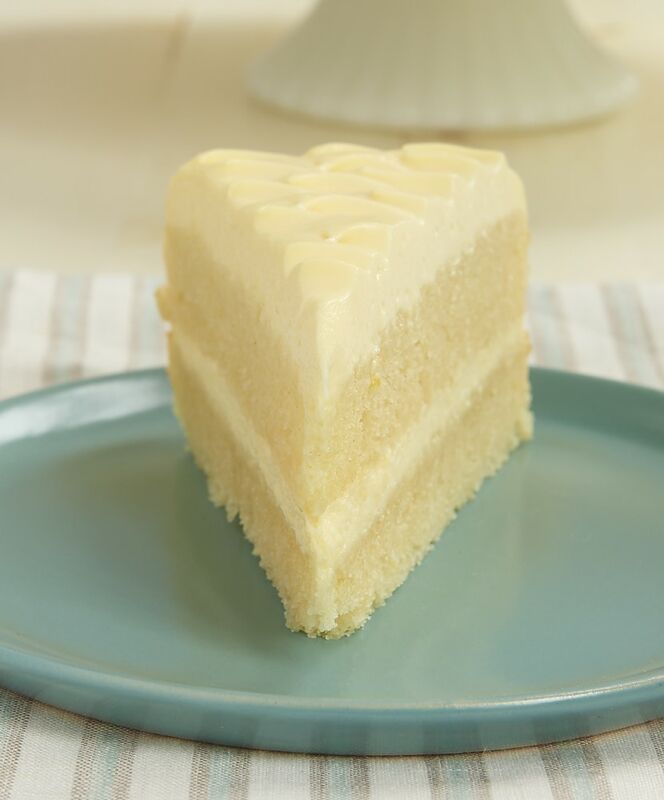 I’ll take any excuse I can to talk about this Lemon Cream Cake. 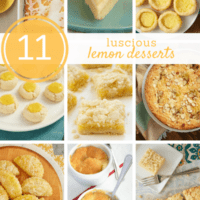 If you love lemon desserts, this one is not to be missed. It’s really just a delightful dessert that’s always a big hit. 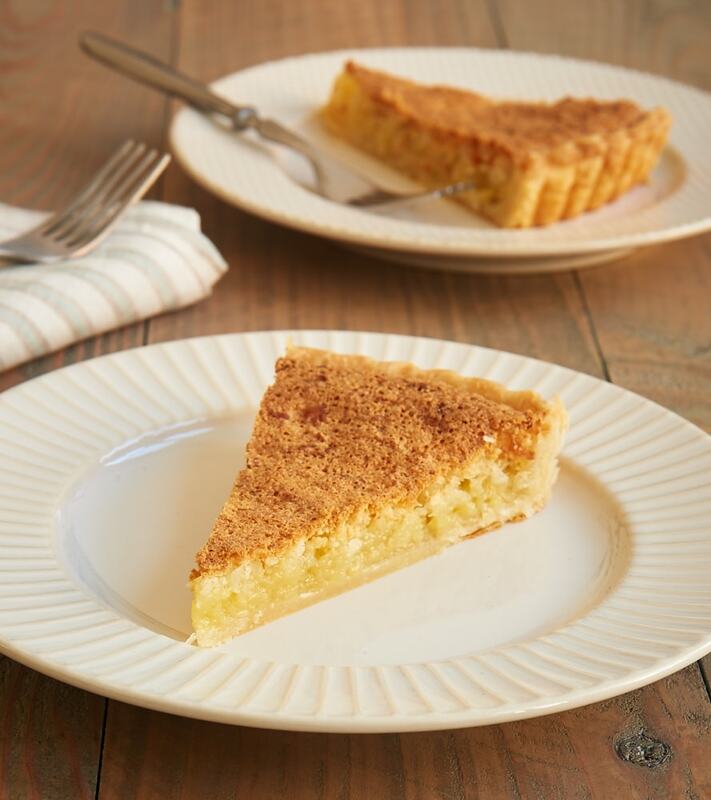 Chess Pie is perhaps my favorite kind of pie, and this Peanut Butter Chess Pie is a simple peanut butter twist on the classic. 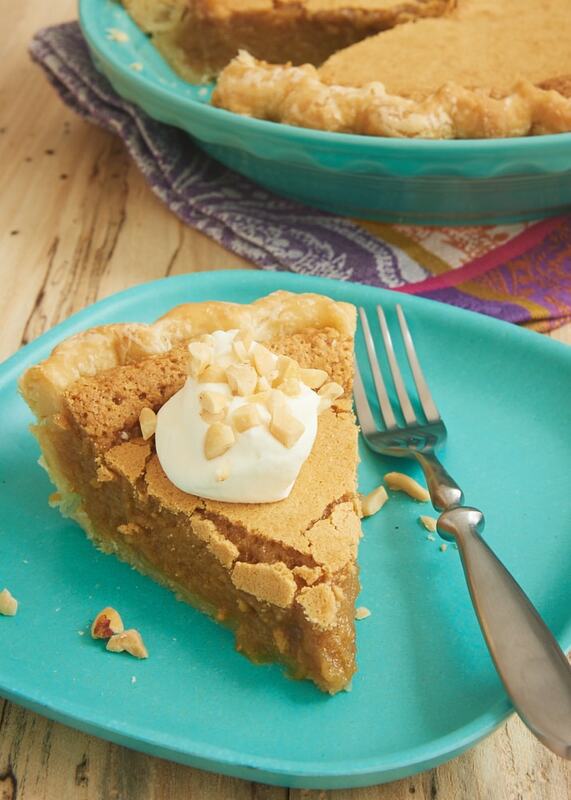 Serve this pie warm with a scoop of ice cream for a special treat! 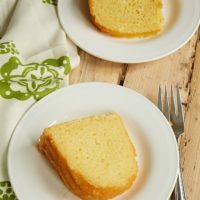 The wonderful flavor of this Key Lime Bundt Cake is just perfect for a springtime celebration. 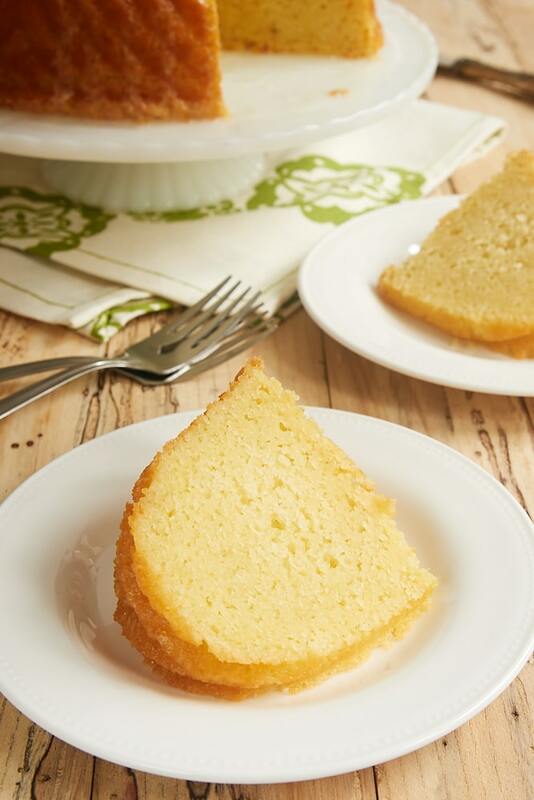 You can dress up this cake with a simple lime glaze or just a dusting of confectioners’ sugar. 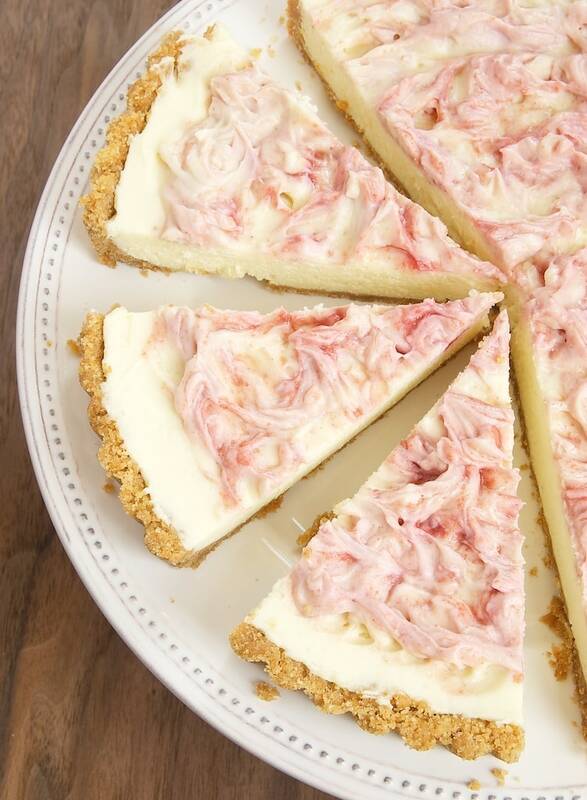 This creamy, dreamy Raspberry-White Chocolate Icebox Pie is just the kind of dessert I love in the spring and summer months. And if you’re craving another berry besides raspberries, it’s simple to substitute your favorite. 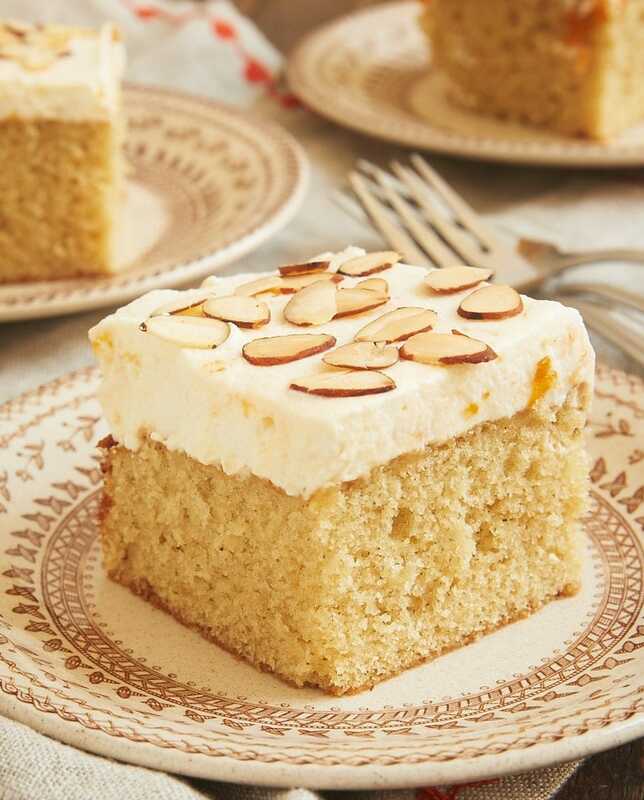 The flavor combination in this Brown Butter Almond Cake with Apricot Whipped Cream is phenomenal. It all starts with a simple one-layer cake made with brown butter. That’s topped off with a quick and easy whipped cream topping that’s swirled with apricot preserves. 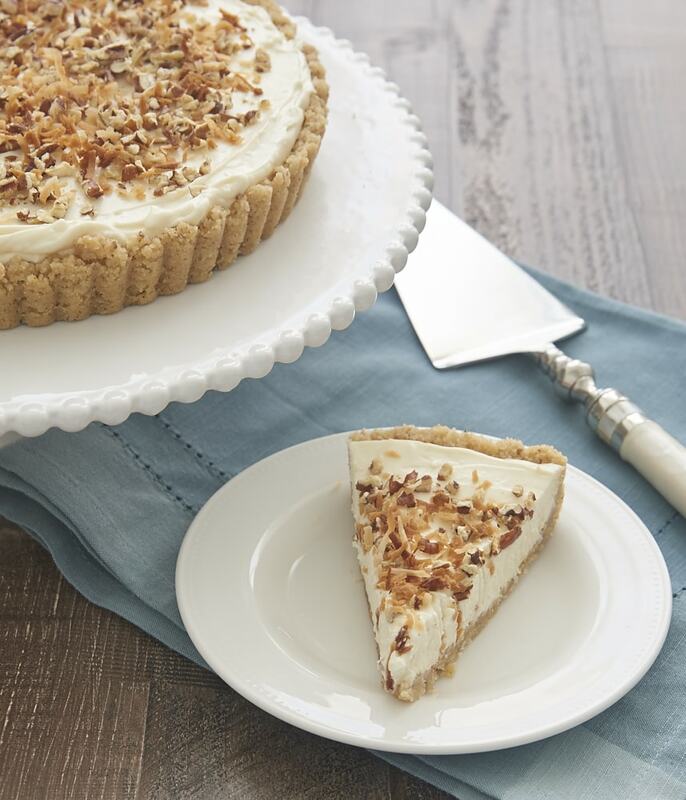 Butterscotch Pudding Cheesecake Pie combines two of my favorite things into one fantastic pie-cheesecake hybrid. 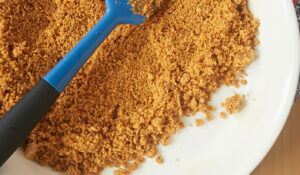 This one takes a bit of time to make, as you’ll be making homemade butterscotch pudding first, but I find that spreading out the work over a couple of days makes it much easier. And so worth every minute! 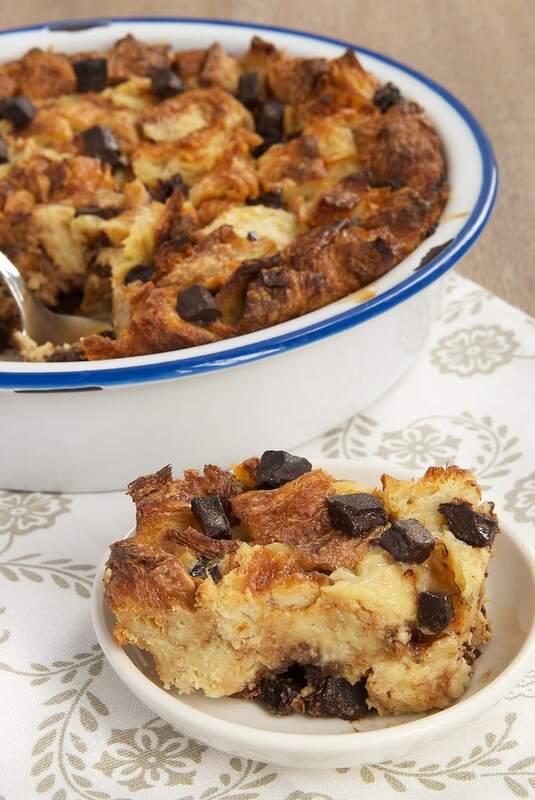 I can’t resist adding just a bit more chocolate to this collection with this simple, crowd-pleasing Chocolate Croissant Bread Pudding. Take advantage of your local bakery’s croissants, add some chocolate and a few basic ingredients, and you’re all set! 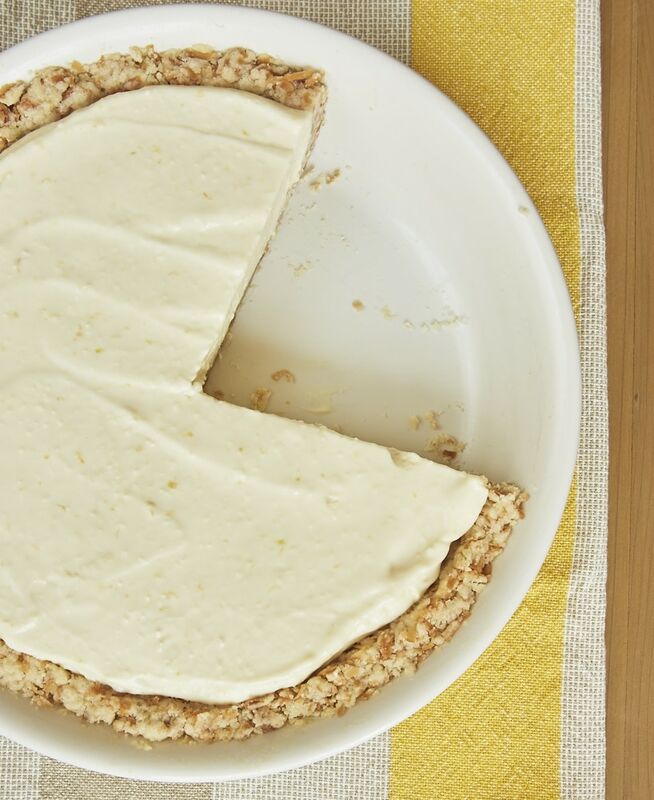 Lemon Icebox Pie is certainly not a new sensation, but it’s stood the test of time for good reason. 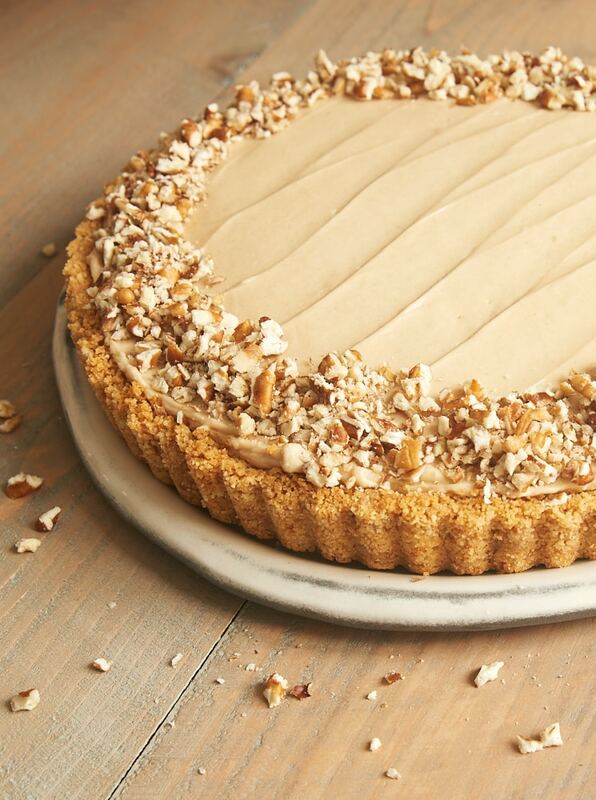 While it’s often made with a graham cracker crust, I just adore it with this coconut shortbread crust. 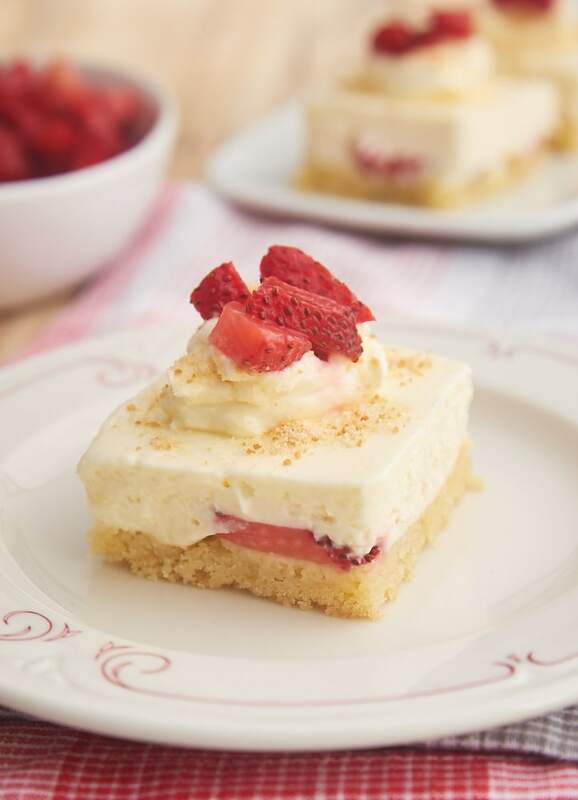 Cheesecake meets shortcake in these Strawberry Shortcake Cheesecake Bars! 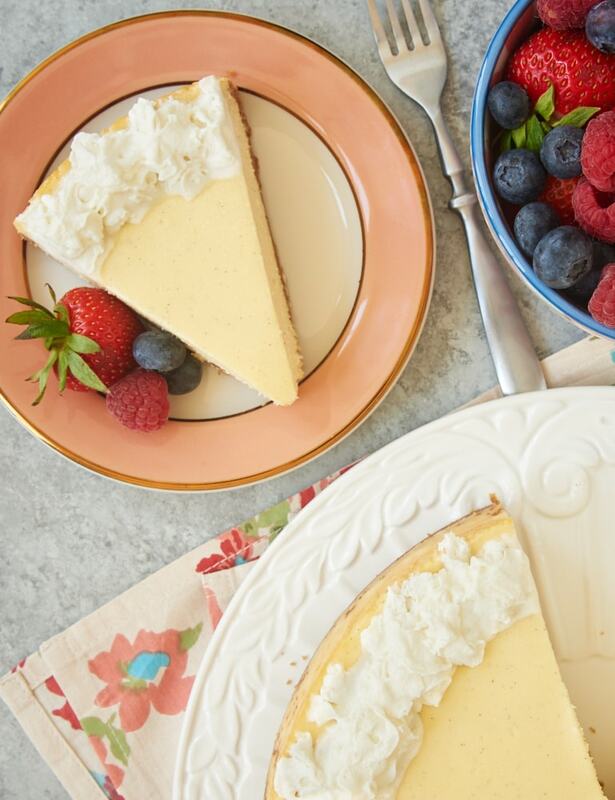 Layers of pound cake, berries, and a no-bake cheesecake combine for an unforgettable dessert experience. Serve them as they are, or dress them up with some sweetened whipped cream, more strawberries, and a sprinkling of cookie crumbs. 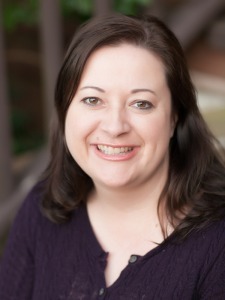 I love making (and eating!) no-bake cheesecakes, and this Brown Sugar Banana No-Bake Cheesecake is one of my all-time favorites. Its simplicity is what makes it so good. It comes together easily with a cookie crust, sliced bananas, and a 5-ingredient cheesecake filling. Don’t be surprised if you find yourself making this one again and again!